Once upon a time, I was the moderately successful teenage webmaster of a “Weird Al” Yankovic fan site. 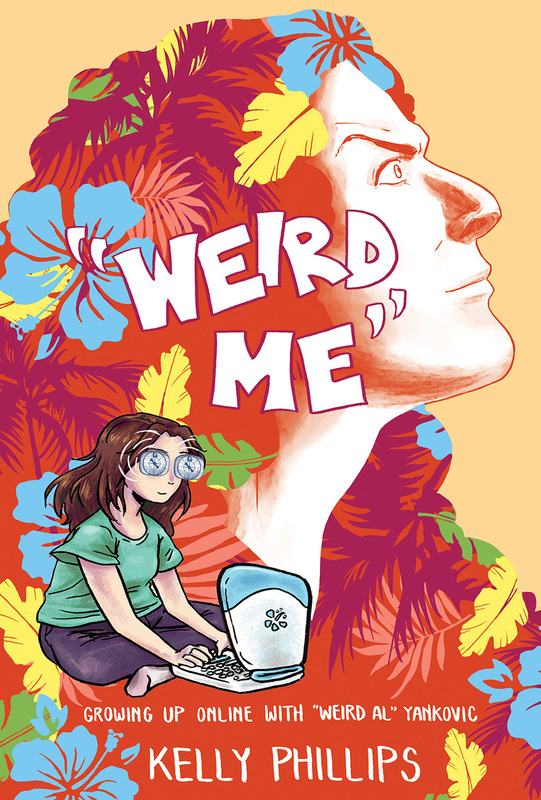 From minor notoriety, to jet-setting for concerts, to earning a stalker, Weird Me showcases the awkward (and true) intricacies of an adolescence spent carving out a corner of the internet frontier in dedication to the king of parody. This is my whole story… now transformed into one complete collection for the first time, along with updated pages and BRAND NEW content! Kelly Phillips is a cartoonist and publisher based out of Philadelphia. Her comics are frequently based on her own life and experiences, including the Dr. Seuss parody Oh, The Things You Won’t Know! and the ongoing series The Catalogue about growing up in a crazy cat lady household. She is also the co-editor and publisher of the all-girl comic anthology Dirty Diamonds.